Paul Duffy. (Chair): Paul Duffy is only the third Chair of the Council since its establishment. The inaugural Chair was Charles Copeman AM followed by General Laurie O’Donnell AC. Each of the Directors has an accomplished business background and has competed and managed the sport of Shooting at the highest levels. Gary Bryant (General Manager): Gary Bryant is only the second General Manager of the Council; the inaugural was Paul Andrews. 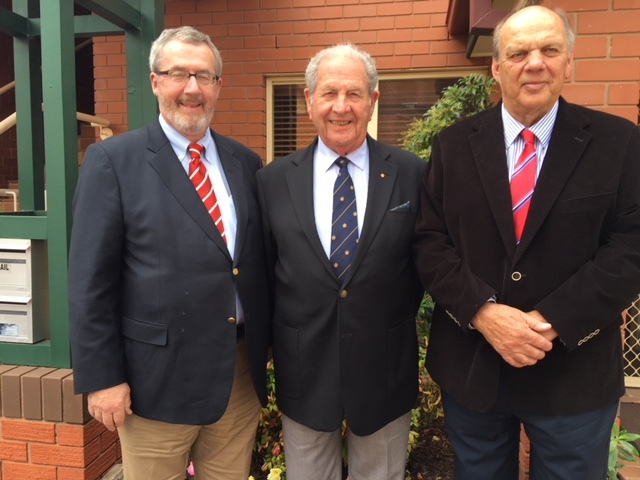 Left to right, Paul Duffy (Chairman), Lieutenant General Laurie O’Donnell AC Rtd (Patron), Lieutenant Colonel Gary Bryant Rtd, General Manager.